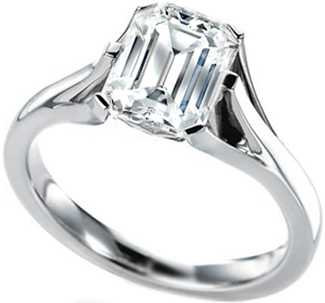 At MDC Diamonds New York we know what a special time buying an diamond engagement ring is. With our wide selection of GIA, IGI and EGL certified loose diamonds and engagement rings settings, we feel confident that you will find the perfect engagement ring for this special occasion. To make it easy for you, our engagement rings are organized in collections, each collection features rings of similar design and style. From Classic, Solitaire, with tapered baguettes, to three stone rings. In addition to a wide and varied selection of vintage style, with pave diamonds, a Halo, and filigree designs. Round Engagement rings, Princess Engagement Rings, Emerald Engagement Rings, Asscher Engagement Rings, Cushion Engagement Rings, Radiant Engagement Rings, Oval Engagement Rings, Marquise Engagement Rings, Heart Engagement Rings and Trillion Engagement rings. Choose the engagement ring style you like and then a loose diamond from our large selection of GIA, IGI and EGL certified loose diamonds, creating your own engagement ring. From popular styles to unique and rare designs, you can find them all here at MDC Diamonds NY. We can also create a custom one of kind engagement ring based on a picture, link or even a rough sketch. Choose from white, yellow, rose/pink gold and platinum solitaire engagement ring settings. Choose from our numerous options for three-stone engagement rings in all shapes. Choose from our many vintage style, Edwardian and art-deco themed engagement rings. Choose from a wide selection of engagement ring with matching wedding bands.